What are forest and rangeland carbon offsets? Forest and rangeland carbon offsets help mitigate greenhouse gas emissions by providing payments for activities that lead to the sequestration of carbon by natural vegetation. Carbon emitters pay landowners to harness the carbon sequestering properties of their land to offset emissions elsewhere. Forest carbon offsets were created in 1989, when an American company promised to plant millions of trees in Guatemala to offset the greenhouse gas emissions from their new factory. Since then, the concept has gained attention from conservation organizations, private companies, and governments around the world. Methods to offset carbon emissions include restoring vegetation, preventing the loss of vegetation (e.g., prohibiting sod busting in native prairies), or prolonging the period between harvest (e.g., extending the rotation period of timber harvests from 35 to 100 years). Credits generated from these activities can then be sold in compliance markets (i.e., regulatory markets where carbon emitters must offset emissions beyond a mandated limit), such as in California, or to individuals and companies in voluntary markets. Carbon offsets have been used in a range of environments, from the towering forests that span the West Coast to the grasslands of the Midwest’s Prairie Pothole region. In the North Dakota Prairie Pothole Project, carbon offsets have been used to pay landowners to sequester carbon in grasslands. Leveraging a $161,000 grant from the USDA’s Natural Resource Conservation Service, The Climate Trust, the American Carbon Registry, The Nature Conservancy, Environmental Defense Fund, and Terra Global Capital came together in 2011 to design tools landowners could use to implement carbon offsets on their land. In order to qualify for financial compensation, grasslands on the farmers’ properties had to remain untilled and thus continue to sequester carbon in the deep soils. These grasslands, however, could be grazed and therefore remain agriculturally productive. The initial phase of this program aims to conserve up to 5,000 acres of conserved grasslands and wetlands. If the program is successful, it is estimated that it could lead to the conservation of 25,000 acres of grasslands through carbon offsets. In addition to the economic benefits of carbon farming and financial compensation provided to participating farmers, the grasslands are important to wildlife — providing nesting habitat for millions of waterfowl each season. In another example, landowners in the Pacific Northwest are working with the Pacific Forest Trust (PFT) to conserve the lush forests of the region. By encouraging delayed cutting of trees, restoring former forestland, and preventing conversion to exurban developments, the PFT is using established protocols to calculate the amount of additional carbon stored in the vast biomass of the forests as a result of the program. This additional carbon can then be used to mitigate the emissions of buyers in compliance and voluntary markets. 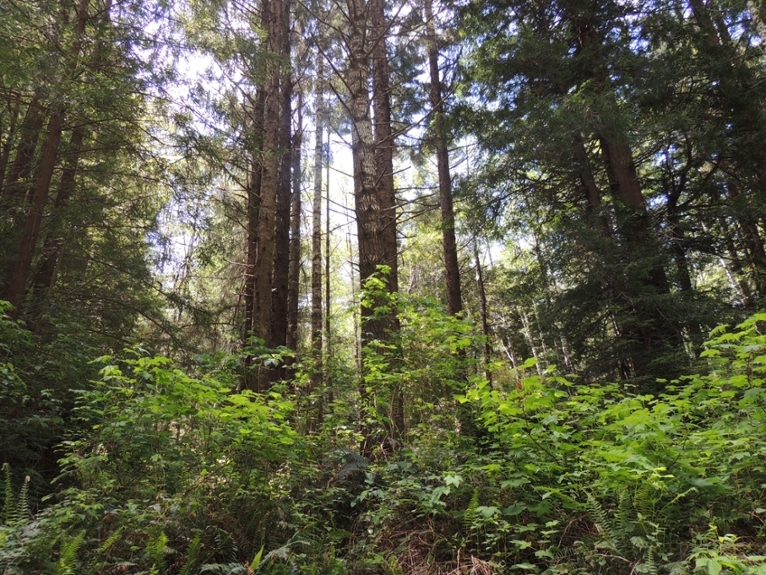 In one example, PFT conserved the 2,200 van Eck Forest in Humboldt County, California using carbon offsets that prevented development of the property and limits timber harvests to less than the forest’s growth. Since 2005, the van Eck Forest has sequestered an additional 405,503 tons of carbon compared to conventionally managed forests while still producing 13 million board feet of certified sustainable timber. The similarities between the North Dakota Prairie Pothole Project and the Pacific Forest Trust’s program illustrate the potential carbon offsets hold as a conservation tool to supplement landowners’ income and provide ecological benefits from local to global scales. "If the program is successful, it is estimated that it could lead to the conservation of 25,000 acres of grasslands through carbon offsets." A view of the lush forests of the Pacific Northwest on a van Eck property in California. Photo: Pacific Forest Trust. Galik and Jackson. (2009). Risks to forest carbon offset projects in a changing climate. Forest Ecology and Management, 257(11), 2209—2216.